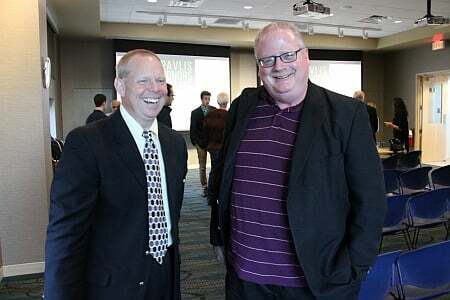 The 9th Annual D80 Conference, Making Connections: The Past, Present and Future of Design, was held Saturday in the Dow Building. 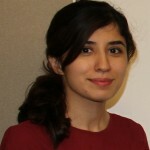 As a dialog and celebration of student efforts to solve issues that confront the world’s poorest 80 percent, this year’s conference featured presentations by the following: Pavlis Institute, Engineers Without Borders, Peace Corps Master’s International, Efficiency through Engineering and Construction Enterprise and International Senior Design. 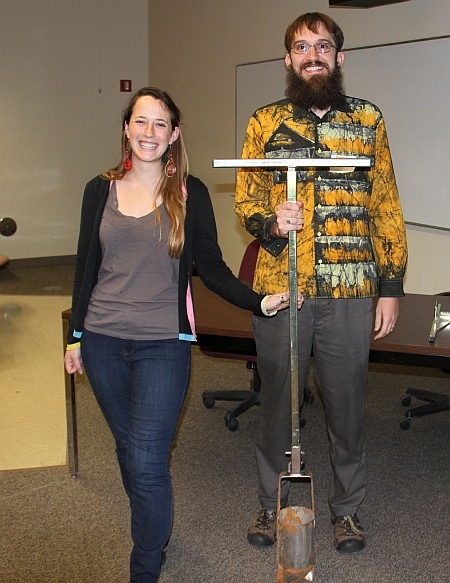 In addition, a faculty panel discussed the history of appropriate technology and design. The Rail Day and Expo is an awesome opportunity for both students and industry! Railroad companies and consultants have the opportunity to showcase the industry and the career opportunities available. This is also a targeted recruiting opportunity for the industry … students who attend already have some interest in railroading. For students, this is an opportunity to have focused discussions about the rail industry and what it has to offer. 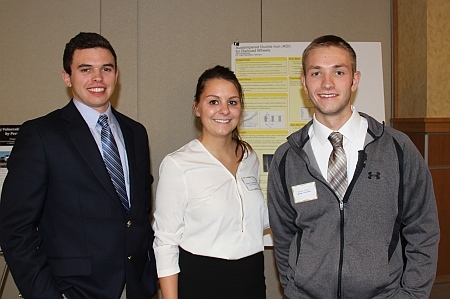 Railroad Night is a networking opportunity for both industry representatives and students. The event features a relaxed evening of dining and conversation. Mr. Art Guzzetti, Vice President-Policy of the American Public Transportation Association was the keynote speaker and provided a personal touch and insight into the rail industry. According to the APTA website, Guzzetti is a 32-year veteran of public transportation at the local, state, and national levels. Among other things, Guzzetti is responsible for APTA’s extensive policy research agenda, policy analysis and development, transportation information, and statistics. He and the APTA team work with the legislative and executive branches of all levels of government and with other national associations, think tanks, and interest groups to cultivate the ideas, relationships, and advocacy initiatives that will propel public transportation forward. Prior to coming to APTA in June 1997, Guzzetti spent 16 years in management at two of the nation’s leading public transportation systems—New Jersey Transit Corporation and Pittsburgh’s Port Authority of Allegheny County—along with two years at New Jersey DOT. His duties focused on transportation policy, government affairs, capital programming, grants development, and grants management and advocacy. In short, the focus of his career has been on generating support for public transportation and the benefits it provides to communities and regions. 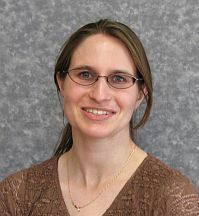 Guzzetti has a political science degree from Edinboro State University and a master of public administration from the University of Pittsburgh. 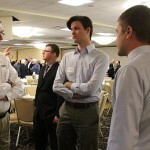 Tech Century, an engineering and technology news website published by the Engineering Society of Detroit, ran a lengthy article on editor Matt Roush’s Tech Tour interviews with Michigan Tech researchers and students. Michigan Tech sponsored this year’s Tech Tour. Among the many people he talked to were: Adrienne Minerick, associate dean for research and innovation at MTU’s College of Engineering, Jodi Lehman, assistant director of research development, and Jason Carter, professor and chair of the department of kinesiology and integrative physiology, Feng Zhou, assistant professor in biomedical engineering, Guy Meadows, Great Lakes Research Center, Andrew Barnard, assistant professor of mechanical engineering, and Zhaohui Wang, assistant professor of electrical and computer engineering, Dave House — Michigan native, Michigan Tech alumnus, Yun Hang Hu, Materials Science Engineering, Caryn Heldt, associate professor of chemical engineering, and Mary Raber, assistant dean of MTU’s new Paavlis Honors College. The formation of a student chapter of the Engineering Society of Detroit (ESD) was reported on Tech Century, an engineering and technology news website published by the ESD. 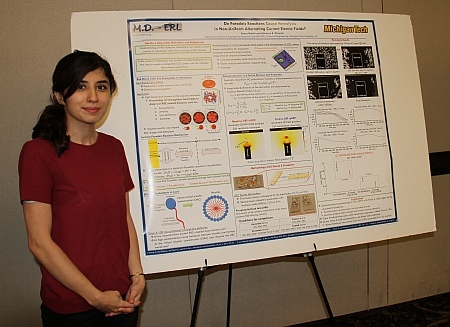 Undergraduates and graduate students in the College of Engineering were invited to join. For more information, visit the ESD website. All Tech engineering students, undergrad and graduate, are invited to join ESD and gain the benefits of student chapter membership. 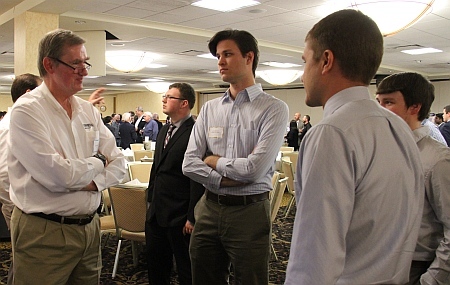 The opportunity to network with professional engineers, successful alumni and other student chapters are among those benefits. 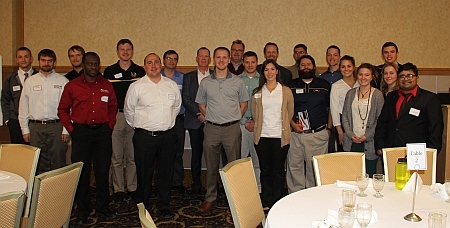 Student ESD chapters also get an inside look at trends in engineering and a chance to participate in leadership and career-building events and programs. 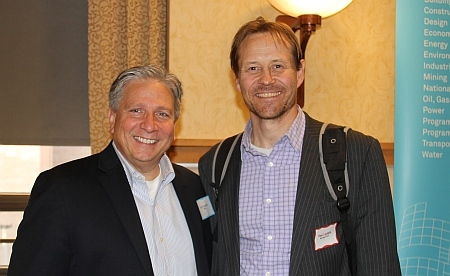 A group of Michigan Tech’s alumni were kept very busy at Michigan Tech for a week of entrepreneurial events. 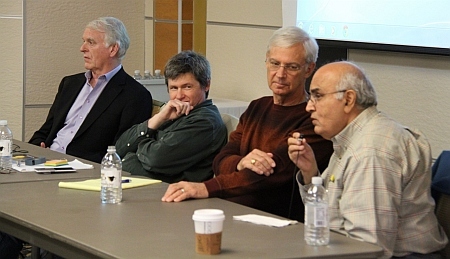 Michigan Tech hosted executives from California’s Silicon Valley for a panel discussion on the topic "Technology, Innovation, Entrepreneurship and Leadership." 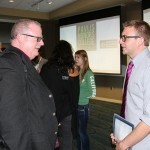 The event happened October 14 in Ballroom A of the Memorial Union Building. 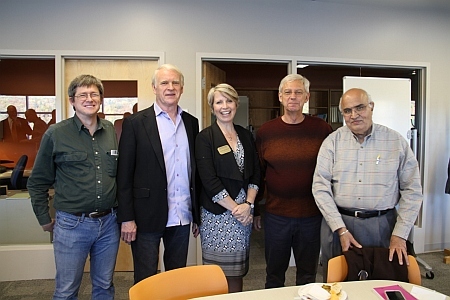 The University celebrated the opening of the Michigan Tech Pavlis Honors College Innovation Center for Entrepreneurship: The center co-directors are Jim Baker and Mary Raber who were on hand to share their ideas and vision. This new center fulfills a long term need on campus to create an interdisciplinary focal point for a cohesive set of entrepreneurial and innovation resources that will harness the potential of the campus community to innovate, develop and implement ideas and inventions. 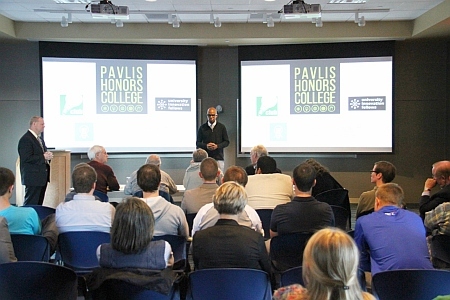 Lorelle A. Meadows, Dean of the Pavlis Honors College and Gene Klippel, Dean, School of Business and Economics at Michigan Tech spoke about the history of the Pavlis Honors College. 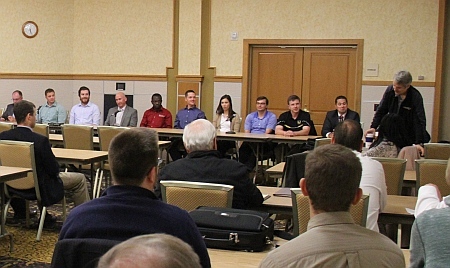 Another event was the Michigan Tech Entrepreneur Meet-up and business plan pitch by entrepreneurs; These 5 pitches were selected from among all of the submissions to present at this event. 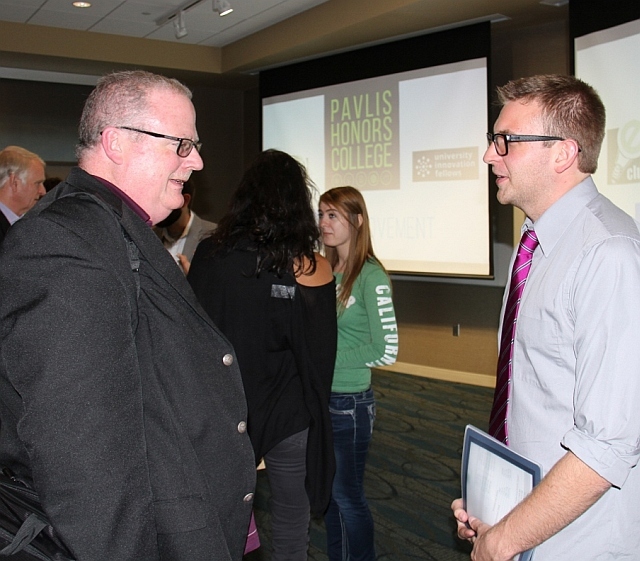 The Pavlis Honors College in partnership with student organizations The Movement and the Entrepreneurs Club, sponsored the event to learn about the interests of other entrepreneurially minded students, faculty, and staff. 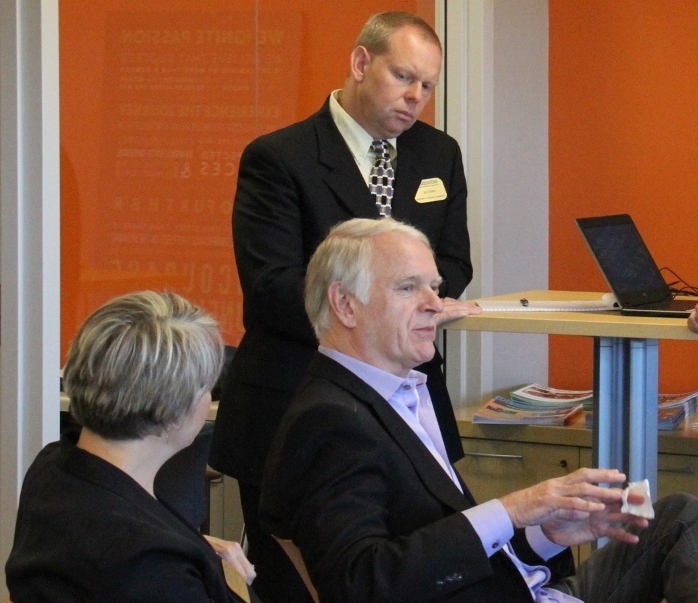 The business plan pitches were done in front of successful entrepreneurial alumni visiting from Silicon Valley. They provided invaluable feedback. The panel: Dave House — Michigan native, tech executive who lead Intel’s microprocessor business for 23 years, Bay Networks, an Ethernet products innovator, chair of Brocade Communication Systems and an entrepreneur and major Michigan Tech supporter; Tom Porter, a 1968 electrical engineering graduate who spent 25 years with IBM, followed by Western Digital and Seagate Technology, and who is now consulting with the Mayo Clinic in Rochester, Minn.; Kanwal Rekhi, a 1969 Michigan Tech grad who founded an early Ethernet technology company, Exelan, that was bought by Novell in 1989, and who has been an investor since 1994; Patrick Moore, a veteran entrepreneur who said he was “employee No. 31” at LinkedIn; and Devyani Kamdar, a founder and executive of various startups and the Palo Alto Institute. This past Saturday, October 17th, Michigan Tech’s baja racing team participated in the Backwoods Baja race held by UW-Stout. 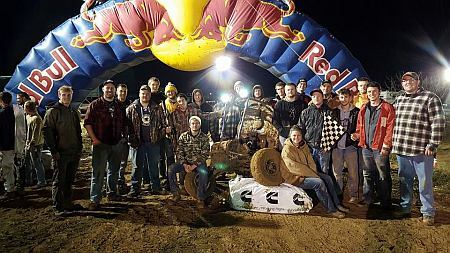 The race was held at the Arkansaw Cycle park just outside of Menomonie, Wis. Michigan Tech Blizzard Baja swept the field taking first, second and third place, as well as the fastest lap. The race was a four-hour enduro, split in half by an hour intermission. 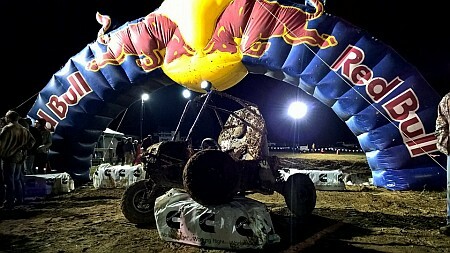 This has been an impressive semester for the baja team with wins at Midnight Mayhem and Backwoods Baja. They’re looking forward to a great set of national competitions in Tennessee, California and potentially New York this coming spring. 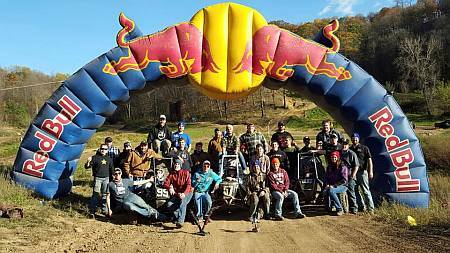 The Michigan Tech Baja Enterprise Team took first place in a regional competition over the weekend in Bedford Kentucky at the Nickota Motorsports Track. 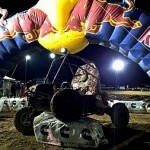 The competition involved 104 Baja cars from university teams throughout the country. Tech’s winning vehicle was the 2014-15 competition car, “Bristol.” The race was very muddy and the track crew needed to stop the race part way through to maintain the track. Over the course of the four-hour endurance race only about two hours of wheel-to-wheel racing was conducted because of all the stuck cars, accidents and track maintenance. Nearly all the cars struggled with the mud, however Tech was able to power through for the first-place finish. 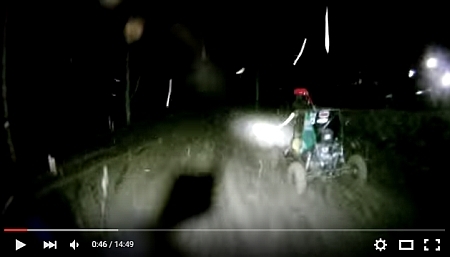 Watch a video for more coverage of the race. 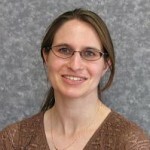 Amber Kempainnen, a senior lecturer in engineering fundamentals, has been chosen as one of 70 young engineering educators across the nation to participate in the National Academy of Engineering’s Frontiers of Engineering Education Symposium in Irvine, Cal., Oct. 25-28. At the symposium, faculty members who are developing and implementing innovative educational approaches in a variety of engineering disciplines, will come together to share ideas and learn from research and best practices. Attendees were nominated by NAE members or deans and chosen from a highly competitive pool of applicants. Kempainnen has been instrumental in developing Tech’s IDEAS project, including three curriculum modules—biomechanics, wind energy and aquaculture—for first-year engineering students and a First-Year Engineering Learning Center. The FCA Foundation, the philanthropic arm of FCA US LLC has donated $30,000 to create a week-long summer youth program at Michigan Tech, designed to encourage young women to consider careers in automotive engineering. Jody Hand, a Michigan Tech alumna and FCA interior engineer, was on the Tech campus Wednesday to present a check that will create the FCA Women in Automotive Engineering Summer Youth Program in July of next year. The new program will focus on increasing the engineering talent pipeline for women in the automotive industry. The FCA Foundation is the sole sponsor of the summer program and FCA will provide female role model speakers aimed at inspiring young women to become engineers. Stephen Williams[/caption]Stephen L. Williams, head of safety compliance and product analysis for FCA North America said the donation reflects FCA’s strong commitment to developing a diverse workforce. He said FCA invests in a wide variety of education and training initiatives to help students — especially women and underrepresented minorities— obtain the technical skills in science, technology, engineering and math (STEM) vital to the future. “Although women purchase 60 percent of all vehicles and influence nearly 85 percent of all car-buying decisions, enrollment of women in baccalaureate engineering programs remains stubbornly low at around 18 percent,” Williams said. Cody Kangas, director of Tech’s Center for Pre-College Outreach said the WIAE will introduce talented female high school students, with high academic potential in science and math, to careers in automotive engineering. He said students will be exposed to several pivotal topics that make up the field of automative engineering. “We are grateful to the FCA Foundation for investing in the future of young women,” Kangas said. Kangas said the WIAE serves specifically to engage high-achieving young women to experience the automotive engineering field in a hands-on, discovery-based learning environment with their peers. 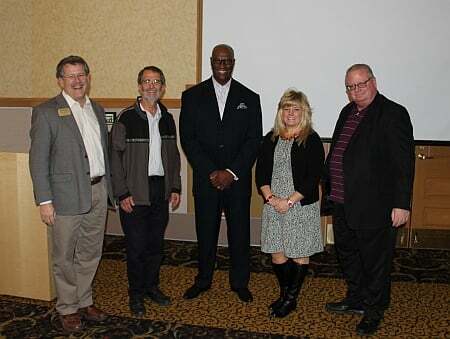 Michigan Tech and FCA have a long partnership dating at least back to the 1970s. FCA Has supported a wide range of activities across campus including scholarships, capital projects, senior design and enterprise programs, student organizations, sponsored research, advisory board membership, recruiting support, youth programs, diversity initiatives and more. 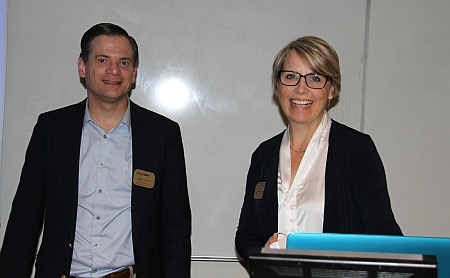 The Michigan Tech community viewed the first Annual Life Science and Technology Institute (LSTI) Research Forum that was held Friday September 25. Posters were in the Memorial Union Ballroom A1. Student awards were presented. 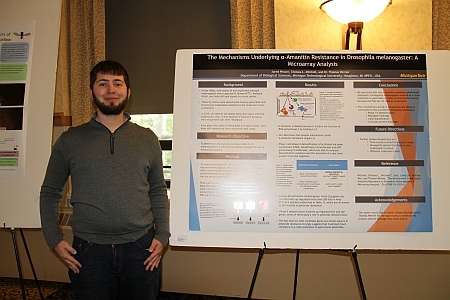 Undergraduate and graduate students working in life science-related fields showed their research posters in separate competitions. 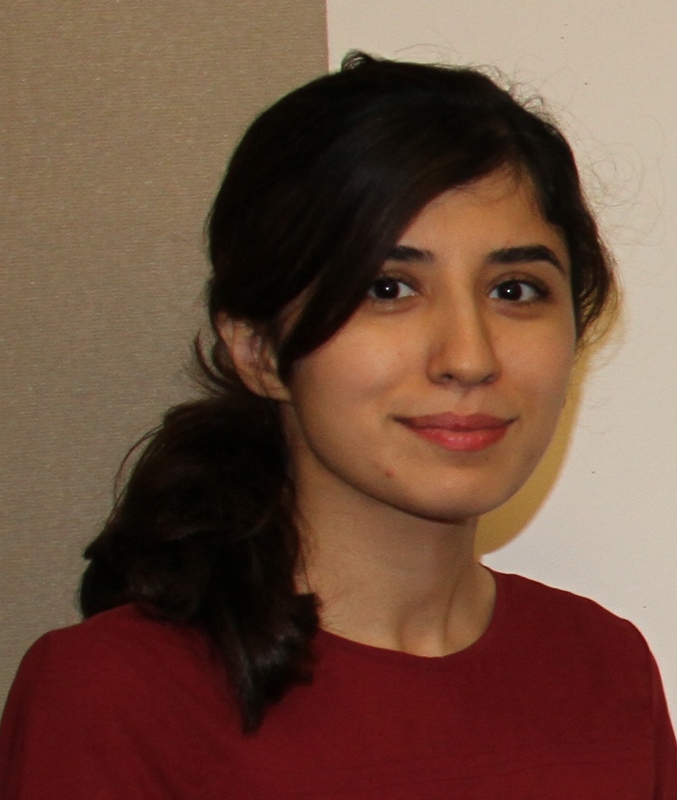 Sanaz Habibi : Do Faradaic Reactions Cause Hemolysis in Non-Uniform Alternating Current Electric Fields? 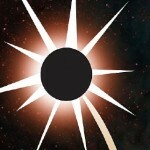 The Michigan Space Grant Consortium, of which Michigan Tech is a member, will host its annual conference at the University of Michigan on Oct. 31. MSGC supports student work in space-related science and technology—as well as STEM disciplines—in Michigan. 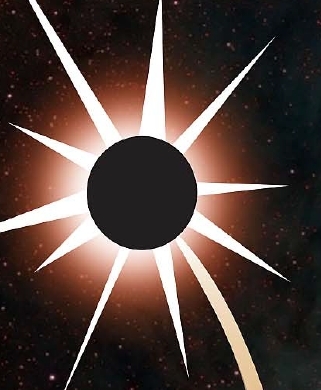 The Michigan Space Grant Consortium announces funding opportunities in the following categories: Undergraduate Fellowship, Graduate Fellowship, Pre-College Education, Public Outreach, Teacher Training and Research Seed Grant. Only U.S. citizens are eligible to apply for fellowship grants. The internal Michigan Tech deadline is noon on Nov. 11. Specific information regarding Michigan Tech’s requirements and submission procedures can be found here. For more information contact Paige Hackney, phackney@mtu.edu or 7-4371 in the Pavlis Honors College. To read announcements, submission requirements and to submit a proposal following an internal review, visit the MSGC website. Dr. George A. Hazelrigg is the Deputy Division Director of Civil, Mechanical & Manufacturing Innovation (CMMI) at the National Science Foundation. 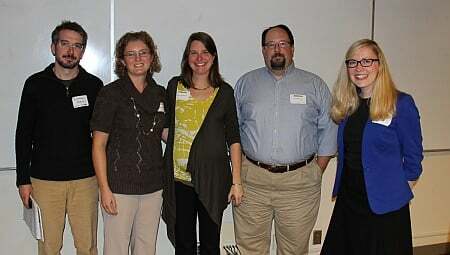 He presented two special seminars at Michigan Tech on Thursday, September 24 for faculty and students. His visit to Michigan Tech was sponsored by the Department of Mechanical Engineering-Engineering Mechanics, and the College of Engineering. We currently think of engineers as problem solvers, and we build our engineering curricula around this model. But what defines engineering as distinct from other disciplines is design, and design is all about decision making, not problem solving. Decision making, unlike problem solving, demands prediction and preferences, and is always done in the presence of uncertainty and risk. As a result, our current engineering curricula do not adequately prepare engineering students for their careers as engineers. Because of this failing, many of the methods we teach and practice provide quite poor results. This talk will illustrate shortcomings of the current engineering curricula and point to avenues for improvement. While the overall success rate for proposals submitted to the National Science Foundation and other Federal agencies tends to be rather low, for well written proposals, it can be rather high. 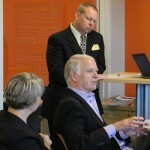 Furthermore, it is rather easy to identify the key elements of a well written proposal. Top among these for NSF are a well written and concisely stated research objective and a plan to accomplish the stated objective. Although this sounds both obvious and simple to achieve, surprisingly few principal investigators meet this requirement. This talk will focus on how to frame a research project in a way that will dramatically increase the PI’s probability of success. It will distinguish between science, mathematics and engineering, and discuss the nature of fundamental research underlying each. It will then present templates for framing research projects. George Hazelrigg enjoyed designing and building things when he was young, so he decided to go to college to study engineering. He obtained a BS in mechanical engineering from Newark College of Engineering (now New Jersey Institute of Technology) and went to work for Curtiss-Wright. There he found that his education had utterly destroyed his abilities to do engineering design. So he felt it necessary to get a master’s degree. Hecompleted an MS in mechanical engineering, also from NCE, but still hadn’t regained his design abilities. While getting his MS, however, he did some teaching and liked it. So he figured that if he couldn’t do design, the next best thing would be to teach it. Five years later he had obtained MA, MSE, and PhD degrees in aerospace engineering from Princeton University. Now, in addition to not knowing how to do design, he couldn’t teach it either. For the next 25 years he roamed industry and academe in an attempt to understand the theory of engineering design, including time spent at the Jet Propulsion Laboratory, General Dynamics, Princeton University and a consulting firm of which he was a co-founder. He also spent a year in Korea helping to found the Systems Engineering Department of Ajou University. 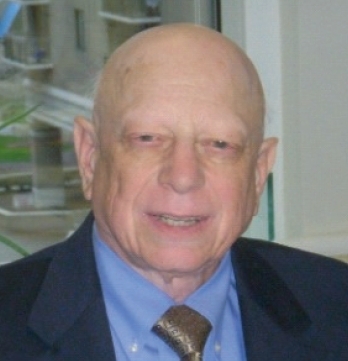 He joined the National Science Foundation (NSF) in 1982 as program director for the Engineering Design program, providing support to others in the field. In January 1996 he did a stint as Station Science Leader of the US South Pole station. In 2004 he became Program Director for the NSF Manufacturing Machines and Equipment program, and then Deputy Division Director of NSF’s Civil, Mechanical & Manufacturing Innovation (CMMI) Division. He also served as Program Director of the Sensors and Sensing Systems program. For relaxation he spends his weekends soaring over the Shenandoah Valley as a certified flight instructor in gliders (CFI-G) with about 1,800 total flying hours.